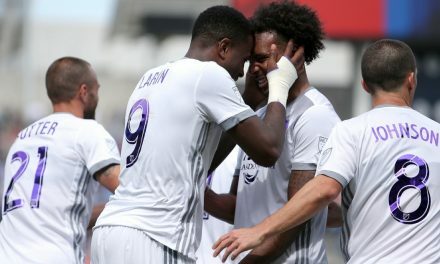 ORLANDO — Orlando City striker Cyle Larin, who forged a reputation as a New York-killer with hat-tricks in wins over New York City FC and the Red Bulls while winning 2015 MLS rookie of the year honors, needed only one goal to doom the visitors Sunday. He tallied in the 15th minute as the Lions held off the Blues en route to a 1-0 season-opening victory in the first game at Orlando City Stadium. It was a difficult game for the Blues who dominated in just about every statistical category. They enjoyed a ridiculous 68.4 percent advantage in ball possession. They outshot the shots, 14-7, while placing seven attempts on net compared to Orlando’s one. And they even completed almost twice as many passes as the Lions, 539-260. But as that old saying goes, statistics are for losers. For Jason Kreis, who was sacked by City after a disappointing maiden season in 2015, was more impressed with his team’s work effort. Orlando suffered a tough blow in the 11th minute when Brazilian great Kaka was forced from the game with a strained hamstring. He will be evaluated Tuesday. Only four minutes later, his replacement, Jamaican international Giles Barnes made the partisan crowd forget about Kaka by creating the first goal. After Carlos Rivas slipped him the ball, Barnes sent a left-wing cross to Larin at the far post and the Canadian international beat Ronald Matarrita and headed the ball past goalkeeper Sean Johnson. But like a good striker, Larin needed only one chance and he scored off of Orlando’s lone shot on target. 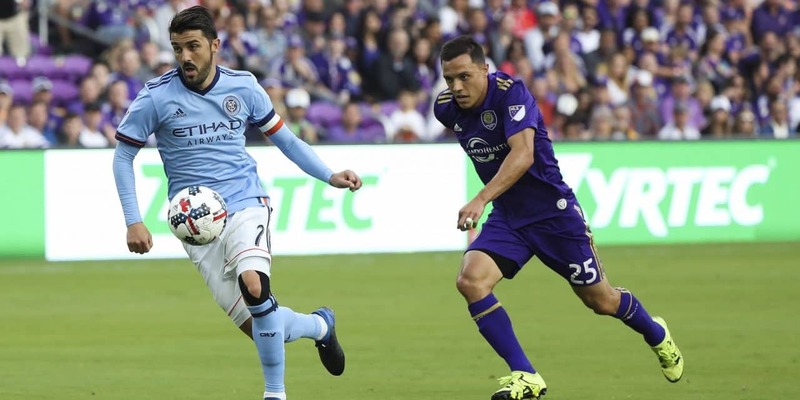 The goal woke up City, which finally went on attack, but an alert Orlando defense — team and backline — was always positioned well to block shots, passes and crosses. 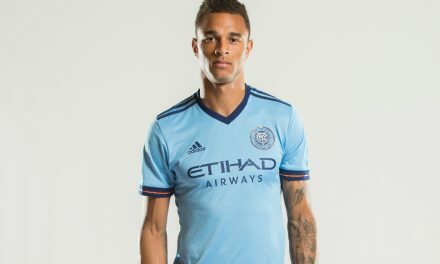 Orlando keeper Joe Bendik was hardly tested until the 53rd minute, when the Huntington, N.Y. native dove to his right to deny a close-range shot by Jack Harrison, who was left holding his head in his hands in disbelief. Bendik finished with seven saves and some praise from the opposition. Bendik did have some help because Vieira thought his players did not do a good job of finishing their plays. Villa, the 2016 MLS MVP who failed to find the net in the match, felt his teammates and coach should not change the game plan. “We believe that if we play like that today, we win more games than we lose,” Villa said. 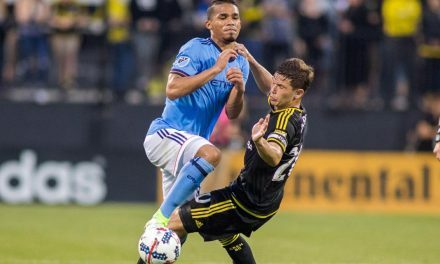 NYC FC will have an opportunity to prove its point with its home opener Sunday. Johnson reminded reporters there was plenty of time to make up for the defeat.